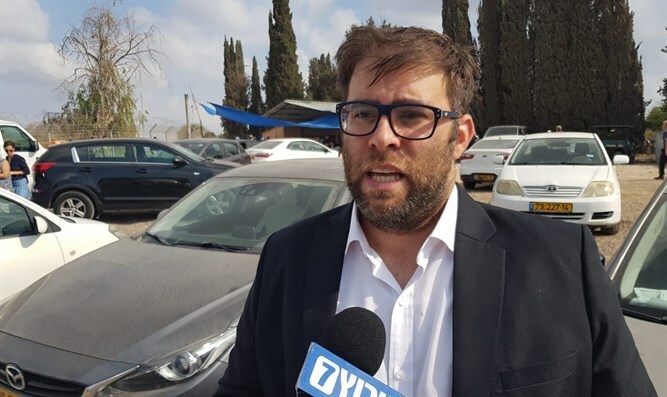 MK Oren Hazan is leaving the Likud to head the Tzomet party in the upcoming elections. Hazan announced the move on his Facebook page Monday evening. "I am leading the move in order to save right-wing voices from being thrown into the trash, and to unite the right with the right, so that we can continue leading the country for the integrity of the people and the country." "I call on every right-wing party that does not give in to American pressure, and which has at heart the interest of the people of Israel, the Land of Israel, the Torah of Israel and the IDF soldiers to join me. The party was founded out of concern for the younger generation and the voice of the forgotten people. Because in the days when seventy politicians are busy with dilemmas and physiology - the people are looking for a leader who does not give in to pressures from above," Hazan said. "The Knesset is full of lobbyists of the wealthy, and unlike the MKs who follow them with their eyes closed, my voice belongs to you - the people of Israel. "In the coming days, when the lists are published, we will publish the party's agenda, but it is already clear that we are facing the struggle against corruption, for integrity, concern for the individual, the policemen, the soldiers, the disabled and the farmers without whom we have no part in this land. The choice for Tzomet was born out of longing for the beautiful land of Israel, and we are all together, young and old together - remember the past and build the future," concluded Hazan. Hazan left the Likud after he failed to achieve a realistic position in the Likud party primaries.